It appears Jenna Bouvier is losing everything: beauty, family, and wealth. When her controlling and emotionally abusive mother-in-law accuses Jenna of an affair with her spiritual director and threatens to expose them, Jenna also risks losing her reputation as a woman of faith. Will she capitulate to her mother-in-law’s wishes again or fight for what she holds dear? As Jenna loses her life, will she find it? Andee Bell has found exactly what she wanted: fame, fortune, and respect. There’s also a special man in her life—Jenna’s brother. Despite her success, a secret quells Andee’s contentment. As memories torment, will she find peace in a relationship with God, or will she sabotage herself while also taking down the only person she cares about? As Andee finds her life, will she lose it? Moving between San Francisco and the Napa Valley, Jenna and Andee form an unlikely relationship that leads them to a crossroad. They can follow familiar inclinations, or risk it all and walk in faith. Ginny L. Yttrup is an accomplished freelance writer, speaker, and life coach who also ministers to women wounded by sexual trauma. She has two grown sons and lives in California. Two worlds collide in a heated battle between past and future. Chidi must decide between his love for his wife Tori and his call to duty to save his kindred when a civil war threatens to destroy his home. Will this threefold cord stand the test as the realities of a cross cultural marriage dawns? As life happens, these young lovers beg…in to wonder if they truly understood the gravity of the vows they exchanged on their wedding day…"With this ring I wed thee…Where you go I will go and where you stay I will stay. Your people will be my people and your God my God". An inspirational writer and published author of A Time to Heal, Love's Lie and Debbie's Diary. Her creative works are usually based on biblical principles told in a contemporary African style. 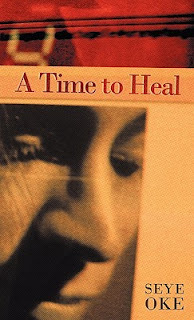 Her latest book 'A Time to Heal' was nominated for the International Book Awards - Religious Fiction Category. A couple of weeks before my mother's death, she called me aside and said, "I want you to be the executor of my estate. Your older brother Eric is too busy. I want you to do it." I felt very unworthy and unqualified for the task, but I agreed to do whatever she wanted. My other brother Mike, who had been living with her, received the hardest task: sorting through all kinds of keepsakes and papers. You see, my mother, just as her grandmother before her, could never bear to throw anything away, especially something that might be used in a scrapbook someday. I believe my mother saved every scrap of correspondence and memorabilia of her entire life! Under my mother's bed , my brother found a huge stack of letters - letters written between her and my father during World War Two. Our parents had never spoken of these letters and what a surprise they were! And what a volume of pages - over 2,190! When I began to read some of the letters, I was amazed at their depth, their lovely descriptions, and their well-written thoughts about life, art, and each other. These two people were transformed from being "just my parents" to captivating characters who could have stepped out of a Norman Rockwell painting. They were young and idealistic with a sometimes naive outlook on life. My father was a dreamer, a romantic, and a devoted lover. And they both had good character, a trait sadly missing these days. These letters became a great treasure find, for I felt like a part of my parents had been given back to me, and I discovered a part of them I had never known. I was given a new respect for who they really were. Every time I would tell someone about the letters, they would exclaim, "Wow, that sounds just like a novel. You should write a book!" One day, I found in one of my dad's letters a bit of conformation. He wrote, " I got out all of your letters yesterday and put them in order. They make quite a sizable stack. I could do a book on a gal named Jo from them. It would make a good yarn too. I wonder why you haven't thought of your own life of the last few years as the basis of a story." This legacy of letters - a rare thing in this modern day of e-mail and text messaging - has played much upon my mind. I, being the executor of my mother's estate, feel that a part of them should be shared by friends and family. I am not the writer; my parents were the writers. I am just an unskilled seamstress trying to thread a portion of their words together to make a readable story. I tell the story through the voice of my mother. A brief summary: In 1944, my dad, married for just a year, was stationed in Lakeland, Florida before being deployed overseas. My mother had gone there to be with him, and it was there that they met a very talented couple of artists, the Chancys. Mrs. Chancy was also a well-known writer of children's books at that time. Because my mother and father were artists, the Chancys took a liking to them and made them an incredible offer. They invited my mother to come (after my dad was deployed) to their farmhouse in Connecticut and stay with them for the summer. They hoped to give my mother some valuable lessons in art and planned to help her enroll in one of the prestigious art schools of New York City that fall. Mother had been looking forward to being at home with her family in Tennessee, but she couldn't pass up such a marvelous opportunity; so one month later, on June 6th , she found herself on a train heading north to live with a family she hardly knew. On the farm, she faced many new challenges, while my dad was dealing with his own set of problems across the seas. 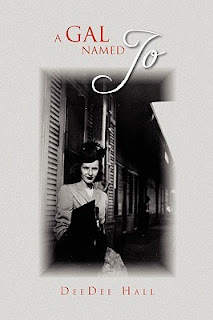 I invite you to step into that world of 1944, and visit those summer days of courage and fear, of mistakes and misunderstandings, of growth and giggles, and of longings and love - all seen through the eyes of my mother, that Gal named Jo. With steady hands, Jo's daughter Dee Dee (married thirty-seven years to Danny Hall, a Baptist evangelist) has taken those letters and invites you all to visit those summer days of courage and fear, of mistakes and misunderstandings, of growth and giggles, and of longings and love, all seen through her mother's eyes, that Gal named Jo. 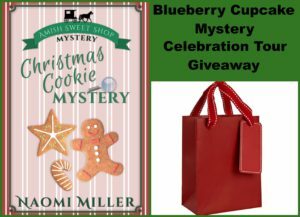 My thoughts: BLUEBERRY CUPCAKE MYSTERY is Ms. Miller's debut novel and it was simply adorable! I loved the lighthearted cozy mystery, no dead bodies included, and it was a fun, sweet, easy read that wasn't scary at all and included a great message about loving others as Christ would. BLUEBERRY CUPCAKE MYSTERY is only 114 pages long and the print is very large so it is an easy and quick read. I read it in a short time and then my fourteen year old daughter sat down and read it the same evening. I am not sure, but this reads like a tween book or maybe even a beginning chapter book, but even if it isn't, it is still a good clean read for Amish fans. Clean, baking, quilts, loving others as Christ would, etc. The book would've benefited from better editing (or maybe a good critique partner) but even as it is a fun read. 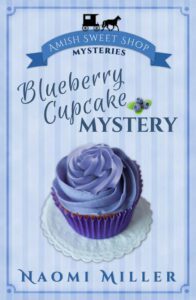 I enjoyed BLUEBERRY CUPCAKE MYSTERY and recommend it for beginning chapter readers and tweens as a good Amish cozy mystery. 5 stars. Naomi Miller mixes up a batch of intrigue, sprinkled with Amish, Mennonite, & English characters, adding a pinch of mystery – and a dash of romance! Naomi’s day is spent focusing on her writing, editing, and blogging about her experiences with writing. When she’s not working diligently to finish the next book in her Sweet Shop Mystery series, Naomi tries to make time for attending workshops and writers conferences. 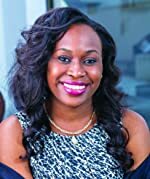 One of her favorites is the four-day event that the American Christian Fiction Writers (ACFW) organization holds annually. Naomi also enjoys traveling with her family, singing inspirational/gospel music, taking a daily walk, and witnessing to others of the amazing grace of Jesus Christ. Hello! I’m Naomi Miller — and I’m honored to be featured on Celebrate Lit! I was actually writing an Amish suspense novel last winter, when God placed it on my heart to write a shorter story — a cozy mystery, with no suspense, no danger, but plenty of faith, family, compassion and community. While thinking of the best way to begin the story, my daughter made a batch of blueberry cupcakes, which happen to be one of my favorite treats. Of course, the idea to use a favorite treat was too good to resist. Then, during the early days of writing, I began experimenting with the idea of baking cupcakes — but adding blueberries before baking. Two favorite treats in one! And there you have it . . . once we had a picture of a blueberry cupcake, the designer quickly sent back a cover I fell in love with (although there were a few more tweaks before the final cover was approved). I actually began writing many years ago — 1990 to be exact. But I had just become a single mom and I didn’t have time to pursue it. I wrote notes, letters, articles, short stories, and I occasionally thought about a career as a novelist, but not once did I consider that dream to ever become a reality. Several years ago, after my children were grown, my daughter challenged me to write a novel. I began a sweet, Amish fiction story about a young girl—but about halfway into the story, someone was almost murdered! Needless to say, I was surprised, but kept going. Once done, I went back to the beginning to do a major re-write on what was now an Amish suspense novel. And that’s . . . the rest of the story. I’m also excited to be doing two special giveaways — 1) a gift bag full of treats and 2) an advanced reader digital copy of Christmas Cookie Mystery (but you’ll have to wait for it)! Prepare cake mix according to the directions. Add blueberries and fold into batter. Bake following instructions on cake mix box. DirectionsPrepare icing, mixing small amounts of confectioner’s sugar with milk to desired consistency. Spread onto cooled cupcakes. From a USA Today bestselling author! Good fences make good neighbors... especially if your neighbor is a goat. Eden Andrusek knows she should have fixed her fence last week. It's too bad her runaway goat makes a less-than-ideal first impression on her new neighbor, who turns out to be cute, brilliant… and a little uptight. Solar architect Jacob Riehl is furious when he returns outside to find a goat eating his presentation. As someone who likes everything in its place, he has little sympathy for a farm animal in the city or its tattooed owner, but there's something about the lovely Eden that captures his attention. What will it take to win over a man whose only pet was a goldfish? And how long can Jacob and Eden go without addressing the goat in the room? My thoughts: I thoroughly enjoyed reading SECRETS OF SUNBEAMS, the first book in Ms. Comer's Urban Farm Fresh Romance collection. An unlikelier pair would never meet. Eden is an animal control officer with a goat that refused to stay corralled--kind of like her life. Plans? Forget it. Jacob was a "stick-in-the-mud", plot everything out, make plans and follow said plans kind of guy. I loved both of them, though probably identified more with Jacob as I'm probably more organized than not. I love Ms. Comer's book and writing about farmer's markets, goats milk, living off food grown locally, etc views that are presented in her books along with a really strong faith message. I know when I open the cover of a Valerie Comer book pretty much what to expect. Humor, romance, and environmentally friendly living, mixed with a healthy dose of faith. If you haven't ever read a book by this author, then SECRETS OF SUNBEAMS would be a good one to pick up. Or, if you have kindle unlimited, she has a few books that are free that way. 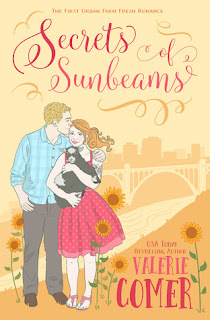 I highly recommend SECRETS OF SUNBEAMS or any of Ms. Comer's books. Ms. Comer is in my top favorite romance writers list. 5 stars. Only one thing stands between Ethan Collins and the job he desperately needs: office manager Makayla McFadden. She hates that he represents a major change in her family’s business, but finds herself intrigued by him, too. Will Makayla be able to see that change can be a good thing, professionally and personally? Or will Ethan be back to square one—in need of a job in a new city? Amie Reynolds wakes up on her wedding morning to find a note from her fiancé that he left the country. Needing to escape her heartache, she visits her great-aunt’s lake house for the summer and meets Drew Sullivan. Romance between them blooms, but will Drew’s secret tear them apart? A pro athlete stumbles across his ex-wife, the son she hid from him, and the rare opportunity to right his wrongs, but a secret from the past threatens their attempts to repair their shattered relationship. One animal control officer with her own escapee goat. One solar architect whose report has been eaten. Can romance and urban farming blossom on the same city block? She’s an actress who can’t seem to get out of character. He’s a mechanic who puts little stock in imagination. Will their love story make it to the opening curtain? Isabella Caccavale’s stable life plunges into a tailspin after she buys her aunt's general store in Evergreen, Maine. When “runaway” lawyer Sidney Prescott roars into town, he jump-starts her wounded heart. Will Sidney find what he seeks in quaint little Evergreen or will he take Isabella’s heart with him when he returns to Boston? 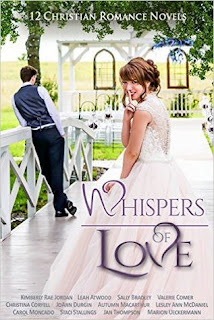 When their best friends’ wedding in London pushes medical missionary Matthew Coalbrooke and bubbly shoe-aholic kitchenware saleswoman Anita Kiernan together, it’s dislike at first sight. But God has a bigger plan for them than they can possibly imagine. This is the Inn at Crescent Cove's biggest weekend since Lily Duarte bought it last year—a wedding. Now if only she can stop dwelling on the last wedding she planned then called off at the eleventh hour…her own. When an employee quits and handsome best man Matthew Case steps in to help, Lily’s thoughts of what might have been start to fade away. Adam Wilkerson is looking forward to a summer of fun working at the Serenity Landing Aquatic Center. Gwendolyn Cranston-Schmidt is looking for a fresh start. Can they see past both of their secrets to find their way to a real relationship? It was only a chance occurrence. When Jenna Davis happens to sit next to Dr. Scott Browning and his young son on the plane to Newark, she has no idea how that one chance decision will change all of their lives forever. A workaholic assistant principal who meticulously plans his schedule months in advance meets an easygoing potter and art teacher with no sense of time, living her life as the seasons come and go. Crossing paths again at the Summer-by-the-Sea Day Camp sponsored by his church in the Bahamas, how can they work together if they cannot see eye to eye? 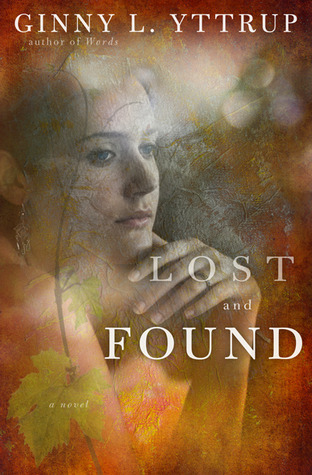 Five years spent searching for her identity brings photojournalist Taylor Cassidy no closer to the truth. When Taylor is sent to South Africa to uncover the story behind winegrower Armand DeBois’s flagship wine, Aimee Amour, their meeting raises questions that demand answers—for them both. Almost destitute, Lilly has run out of hope when she inherits her great-aunt’s home -- but it’s not the Tea Shop that a handsome young gentleman thinks it is. Lilly’s inherited house is crammed full of tea cups. Theo, a Soo Locks engineer, visits frequently in the hopes he will find the perfect antique teacup for his mother and is charmed by the lovely 'Shoppe owner.’ Lilly can’t turn the bachelor away when he persistently peruses her aunt’s collection, which she’s trying to pack up and remove from the house. Is the man only interested in the teacups, or in her? When Theo begins referring people to Lilly, and the genuine Tea Shoppe owner sets the police on Lilly for her lack of a business license, sparks fly! 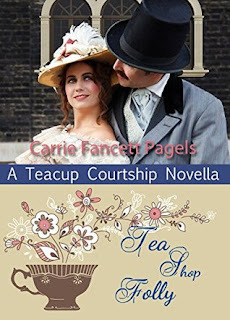 My thoughts: TEA SHOP FOLLY is only the second story I've read by Ms. Pagels but she is quickly developing a fan with me. I loved her first book (set in the lumber camps of the upper peninsula of Michigan) The Fruitcake Challenge, and TEA SHOP FOLLY was just as fun and entertaining as the other. Filled with misunderstandings, from misdirections to the tea shop, to letters arriving along with the guest, to a medicine that miraculously healed what it wasn't intended to. Along with the designing of the Soo Locks, there is also a lot of history included. I enjoyed getting to know Lilly and Theo, along with the other collection of characters introduced in this book. I'm looking forward to reading Ms. Pagel's backlist sometime and getting caught up in the literary wonders she is putting out. Great story, thoroughly enjoyed it. And I love tea cups and tea pots, too. Another plus. I received this book from BookFun reader's club in exchange for an honest review. When baseball star Mike Connor stumbles across his ex-wife six years after their divorce, he’s stunned to find that she's the mother of a kindergartner who wears his jersey. And shares his last name. The last thing Meg Connor wants is to be around Mike. After all, he was the one who abandoned her. But she can’t deny him—or their son—time together to build a relationship, which means Mike is around too often, reminding her of why she fell in love with him so long ago. If only she could forget their past… The painful and the good. Between their guilt and closely held hurts, Meg and Mike struggle against each other, their feelings, and God as they fight their own desires for the future, a future that might never happen when the past that tore them apart collides with their present. I bought the collection, because I wanted to read Ms. Comer's new book, and at the time this was the only way to get it. I used to be a critique partner of Ms. Bradley (many long years ago) and this was the book she sent through the critique group. I remembered the jist of the story, there were a few surprises I didn't remember (though they might've been added since Ms. Bradley and I parted ways (again, many long years ago). I enjoyed getting "re"acquainted with Mike and Meg and their son Terrill and the pastor and wife who played a key role. There is a mystery/suspense involved. We know who the bad guy is, we know why, but we don't know when he will attack or how. 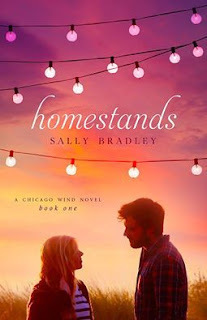 This was a great book, and the only one by Ms. Bradley I've read. I will have to look into her other books at some point. HOMESTANDS was a great book, highly recommended. I hope you can find it! You won't be sorry getting this book. ***Ms. Bradley responded to my PM and said Thanks, Laura. Yes, the box set is gone now and I'm working on getting it up myself in a few weeks. It is in another box set right now, though. Love's Sweet Surprise. Just went up a week ago. Thanks. *** So if you want this book now, look for Love's Sweet Surprise on Amazon. Otherwise, put it on your wishlist and wait for it to go solo.